Dr. Aldona J. Spiegel is certified by the American Board of Plastic Surgery and the Director at the Center for Breast Restoration at Houston Methodist Hospital's Institute for Reconstructive Surgery. 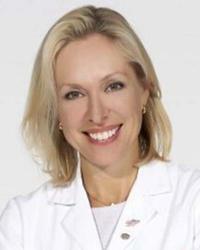 Her clinical expertise is in advanced breast reconstruction techniques, microsurgery, and super microsurgery particularly in the area of surgical reconstruction with reinnervated autologous muscle-preserving perforator flaps, including the DIEP Flap, SIEA Flap, SGAP Flap, TUG Flap and TAP Flap. She specializes in both cancer and non-cancer related breast correction, lymphedema procedures, advanced implant and latissimus reconstruction and has pioneered sensory innervation procedures which have the ability to reestablish sensation to the breast, resulting in the most complete form of breast restoration. Dr. Spiegel is committed to women's health issues in plastic surgery. She understands the diagnosis of breast cancer can be overwhelming and the choices for reconstruction can add to one's uncertainty. Her goal is to provide advanced breast-restoration procedures in a caring, supportive environment while allowing each woman to successfully rehabilitate from breast cancer, or other breast-related problems, and regain her femininity in a way that enhances positive physical and mental vitality.